"What? There's no 'Victorianise' filter in Photoshop??" 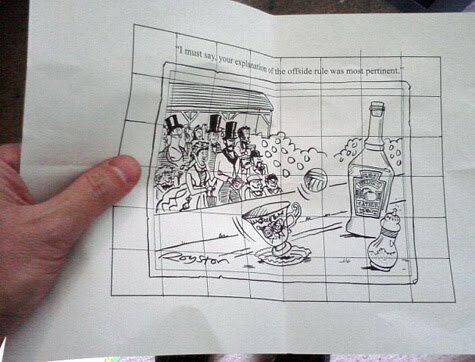 This was attached to my Big Board at the Shrewsbury Cartoon Festival at the weekend, where the theme was Sport. 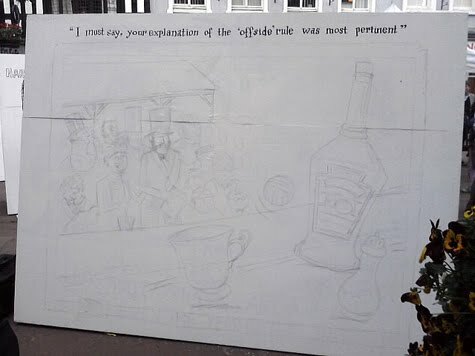 I'd originally planned something else but they wanted a Victorian theme for the Market Square boards, to celebrate the "Olympian Games" held in nearby Much Wenlock in 1850, which inspired the revival of the modern Olympics. 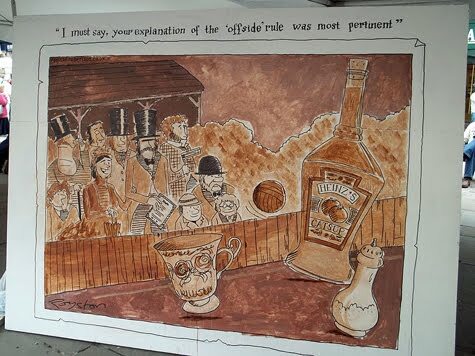 The festival programme featured my old "offside" cartoon, which I'd submitted for exhibition, so I thought it would be fun to do a Victorian take on that. 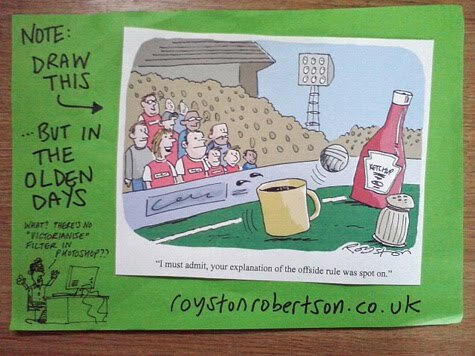 Of course, anyone watching me draw could see that despite the jokey notice above, I had the whole thing worked out beforehand and was working from that. 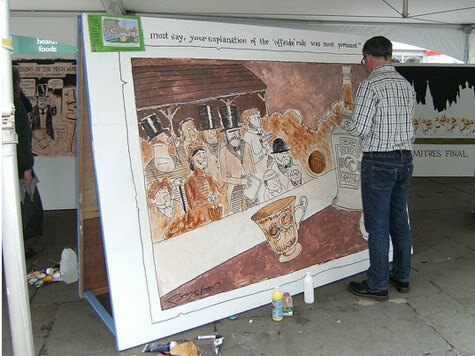 I'd scaled the drawing: 6in by 8in for the 6ft by 8ft board. Taking no chances! I gave all the characters Victorian garb, the mug became a chintzy teacup, the ketchup bottle became an early bottle of "Heinz's Catsup" (thank you Google Image Search) and there was even a cameo role for the New Yorker's Victorian dandy Eustace Tilley, on the left, an in-joke spotted by a few cartoonists when I'd completed the board. I had a few hours to do the pencilling after arriving in Shrewsbury on Friday afternoon. Some cartoonists like to do a "big reveal" with the punchline, but I figured that there were so many people coming and going, I may as well say what the joke was from the beginning. People can usually "get it" even when the drawing is not quite finished. Thanks, John. 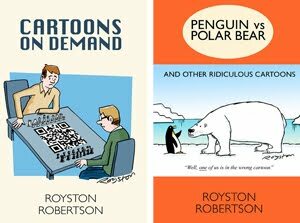 Yes it was a great weekend, both from a cartooning and a social point of view. There is always next year!